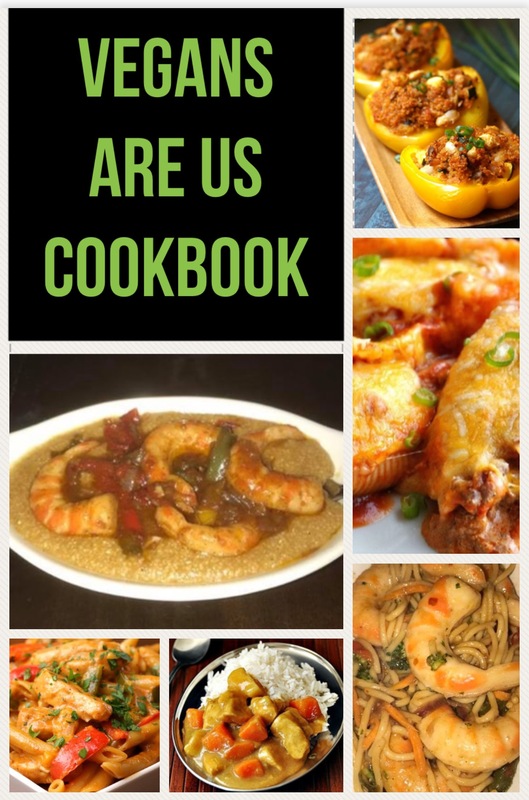 Vegans are us cookbook provides home-cooked plant based favorites from Soul Food to Traditional American foods. Our Vegan cuisines are full of delicious flavor and will benefit your health in a positive aspect. Please join me in my kitchen and cook with me so I can bring you the best Vegan experience ever! Remember all recipes are Vegan. Thank you and we hope you enjoy our recipes just as much as we do. In a medium bowl, combine the wheat flour, baking powder, ginger, and Himalayan salt. In another bowl, combine the agave nectar, sweeten almond milk, applesauce, and vanilla. Add the liquid to the flour mixture. Mix until just combined (the batter will be lumpy). Add the bananas. Heat a large skillet over medium heat, then coat with coconut oil. Pour 1/4 cup of batter onto waffle machine or the hot skillet. The waffle/ pancake is ready to flip when tiny bubbles appear on the top and burst, and the pancake is lightly browned on the edges. Flip the waffle/ pancake and cook for about 1 to 2 minutes, until the underside is lightly browned. Adjust your heat so that the waffle/pancakes cook for about 1 to 2 minutes per side. Waffles/Pancakes can be topped off with some fresh slice bananas, blue berries and or strawberries.